Posted on July 26, 2018 by Ramli John. This episode is all about AI and growth marketing. Jaxson Khan is the man when it comes to AI. Not only is he the Director of Marketing at Nudge.ai, but he also hosts the #AskAI podcast. In this episode, learn how you can use AI to grow your company and how important relationship strength is for your business. Jaxson Khan is Director of Marketing at Nudge.ai, a relationship intelligence platform. 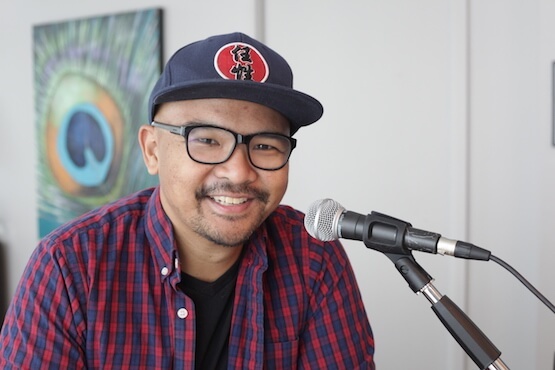 In the community, Jaxson serves as host of the #AskAI podcast, a mentor at Techstars, a judge at Venture for Canada, an advisor to Century Initiative, and a member of the World Economic Forum. Previously, Jaxson founded Young Diplomats of Canada, an NGO that engages with the United Nations, World Bank, and G20. He also served on advisory boards with AstraZeneca and The Globe and Mail and was elected to the Peel District School Board. Jaxson is a published author and speaker on technology, education, and policy, including the International Economic Development Council Journal. Jaxson graduated from Western University as a 3M National Student Fellow and one of Canada’s Top 20 Under 20.